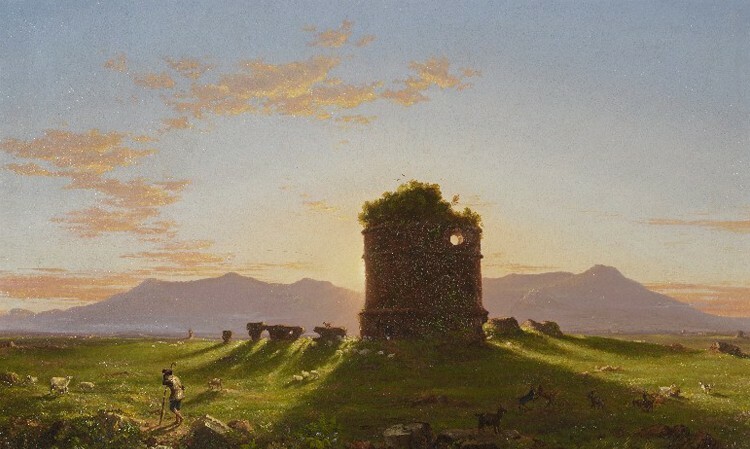 In the Seeing Nature exhibition, the Phillips invites visitors to contribute new, imagined conservation discoveries at the interpretive station “Seeing Beyond the Frame.” For the month of February, visitors responded to Thomas Cole’s pastoral landscape Ruins in the Campagna di Roma, Morning (1842). In addition to some of the creative conservation discoveries our visitors imagined, our visitors have been sharing other kinds of wonderfully visual and lyrical responses. As they say, a picture is worth a thousand words! See more or share your own ideas with #SeeingNature. 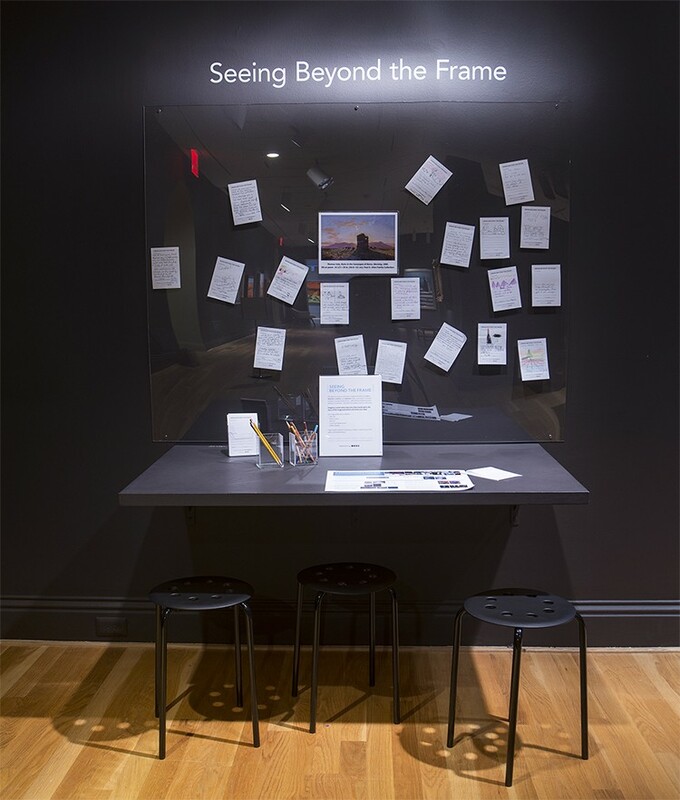 Visitors share their lyrical responses to the “Seeing Beyond the Frame” in-gallery interactive. As part of the exhibition Seeing Nature: Landscape Masterworks from the Paul G. Allen Family Collection, the Phillips encourages visitors to “see beyond the frame” with an interactive station focusing on conservation. In this space, you’re invited to learn about discoveries made while conserving works in the exhibition from the short videos playing in an adjacent gallery and peek into the part scientific, part detective work of an art conservator. 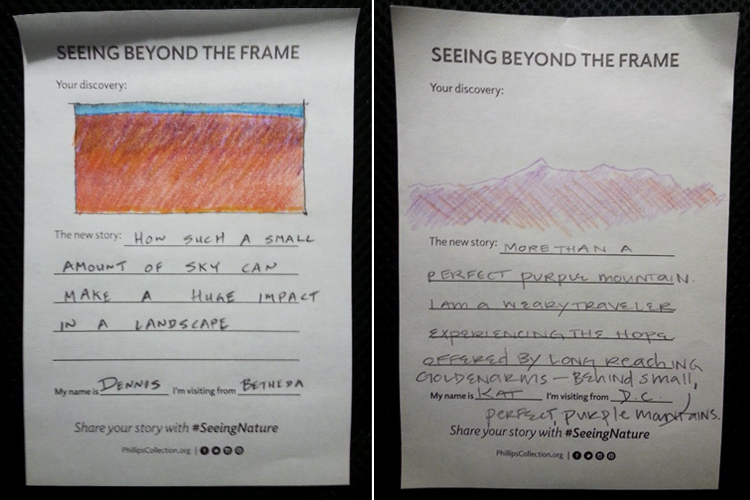 Each month, a different work of art from Seeing Nature is highlighted at this station and visitors are invited to create their own imagined conservation discoveries, explaining how their discoveries might change the known story about a work of art. From hidden underpaintings to long lost owners or artists, here are a few of our favorite creative submissions so far.